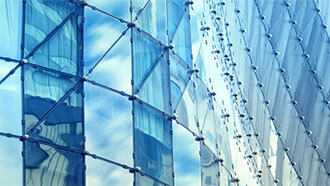 Founded on the principle of full participation with open meeting and discussions. Includes public interest representatives as well as manufacturers of insulating glass units, suppliers, specifiers and fabricators. 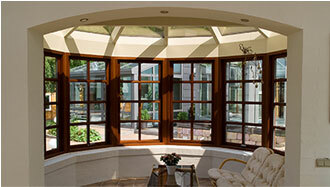 Specializes in sponsoring an expertly administered program to promote insulating glass certification by manufacturers. Publishes its Certified Products Directory, manual of procedures and requirements to encourage constructive feedback from participants. 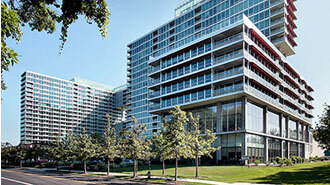 Maintains a current and flexible attitude concerning the technological changes. Approves independent testing facilities on the East and West Coasts and in the Midwest for participants' convenience. Provides a third-party certification program approved by both HUD and FHA and by the Sealed Insulating Glass Manufacturers Association (SIGMA). 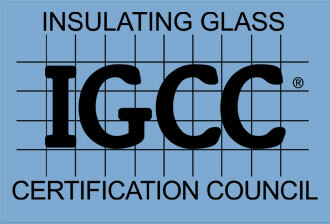 The Insulating Glass Certification Council, Inc. (IGCC) is a nonprofit corporation whose purpose is to promote the public interest as well as participants' business interests by encouraging maintenance of the highest standards of excellence in the manufacture of insulating glass. The Certification Program is directed by its participants and Certification Committee and is managed by an impartial administrator and the IGCC Board of Governors. The requirements to meet certification standards, initiated and agreed upon by the membership through the Board of Governors, are validated through periodic inspections by the administrator and testing by independent laboratories approved by IGCC. 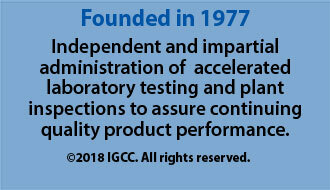 IGCC maintains a current and flexible attitude concerning technological changes by developing guidelines to implement the ASTM standard in light of new technology. These guidelines are developed in open, due process discussions and apply fairly to all participants in the same manner.